I’ve got to admit that I have zero knowledge of Cellular South other than the fact that it’s a cell phone company based out of Mississippi. 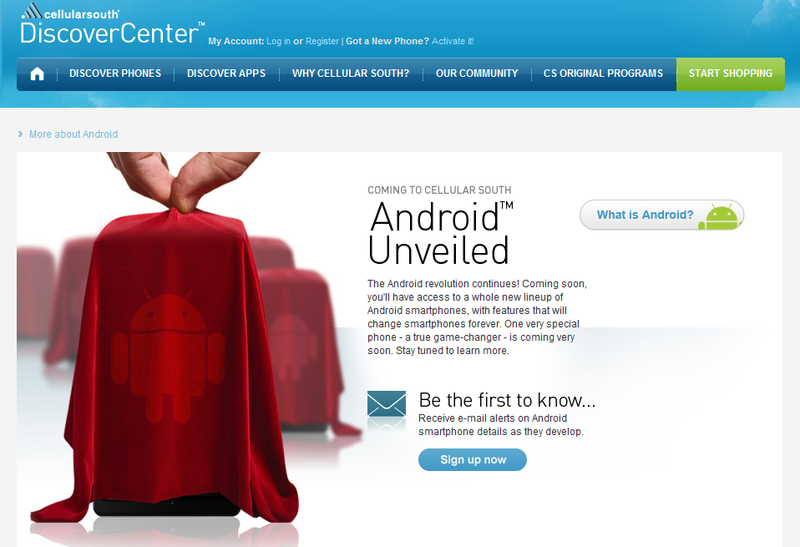 What I do know, is that their site has recently been updated to show that a new lineup of Android devices is on its way with the Motorola Droid possibly leading the charge. If you look at the photo above, you can clearly see that the device under the red Android cover is a Moto Droid. Notice the lip and the mic hole? Yep. That’s our baby. So what does this mean? Well, just more love for the Motorola Droid really. Cellular South runs a CDMA network which means that coverage through their service gives you access to almost all of Verizon’s network. Win. And win. Anyone in a Cellular South area? Initial Thoughts on the Droid Incredible?